Gardening and Tree Surgery SK14 Hyde | YGM Cleaning Company Ltd.
Just began this year’s spring cleaning, and you truly feel absolutely exhausted already? Well, we do not like to remind you, but spring cleaning can include not only deep cleaning your home, but cleaning up your outdoor space as well. Don’t panic! The professional gardeners in Hyde from YGM Cleaning Company Ltd. can instantly, efficiently and professionally take care of the garden clearance, garden waste removal, as well as offer jet washing for patios or driveway, at a surprisingly reasonable price. The professional gardeners can take proper care of your overgrown lawn, flowers, plants, your trees, and your entire patio area arrangement and maintenance. To find out much more about the gardening services offered by the professional gardening company in Hyde, and get garden cleaning price and low cost info, just call the 24/7 customer care service or fill out the online form right here. YGM Cleaning Company Ltd. was basically established in 2005, and has been delivering high-quality, reliable garden services to the people and businesses and the area ever since. The most essential resource for the business is the human resource, so large amounts of efforts, investments and time are put into picking, training and assessing the professional gardeners in Hyde, and other employees of the company. Garden Care And Mowing in Hyde SK14 by YGM Cleaning Company Ltd. The professional gardeners will properly and evenly mow your company lawn, and can also repair and replace any damages patches on it, water it, fertilise it, aerate it and take care of its regular maintenance. The company offers specialised seasonal - autumn and spring lawn care, lawn feeding services. The gardeners are equipped with the latest and best lawn mowers and other gardening tools and . We goods offer also. The professional gardeners can offer you high quality tree surgery for all trees, garden maintenance, lawn mowing, lawn repair, autumn and spring lawn care, lawn scarification, weeding, lawn feeding for healthier plants, lawn aeration, garden clearance, ivy removal, and cutting. Once the professional gardeners are done with their task in your garden, you can be sure that it will look significantly better, have healthier plants and flowers, have more space, an evenly mowed and repaired lawn, and an general improved outdoor space. The company delivers all types of professional gardening services in Hyde SK14 to make your garden or other outdoor space completely ideal, and to help you keep it that way. 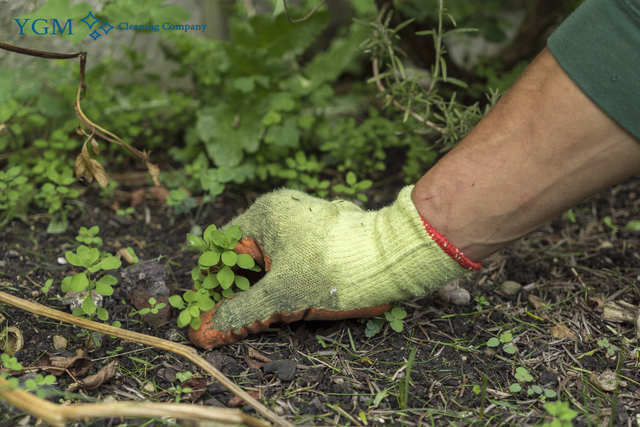 Even if you have never used professional gardening help, or when your outdoor space is a bit neglected, do not worry, the professional gardeners will examine any damage, offer a solution and give all the gardening services you request. You may book your gardening service in Hyde SK14 or more services directly by calling the customer service at 0161 823 0323 or send an online booking web form below DAY TO DAY. If you are not sure about all the services or the hours you will need to book, you can demand an onsite visit by the professional gardeners. They are going to come to assess and inspect the work volumes and to offer their professional opinion and advice, along with offer you the best price for the chosen professional gardening solutions on the spot. In case you like the price, they can start with the work right away. Other services we offer in Hyde SK14 Oven Cleaning Hyde, Carpet Cleaning Hyde, Upholstery Cleaning Hyde.